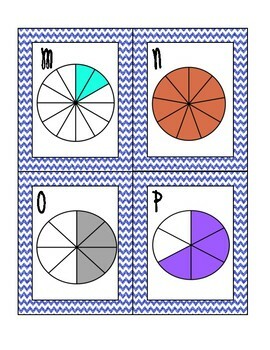 This set consists of 26 task cards for students. The student must first write the fraction as shown, and then must write the simplified fraction. There is an answer sheet included. 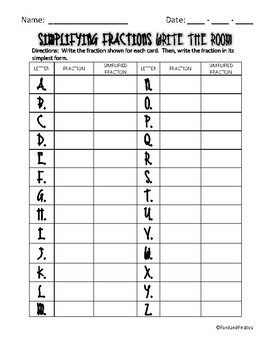 Write the room's are always more fun than just doing a plain old worksheet! 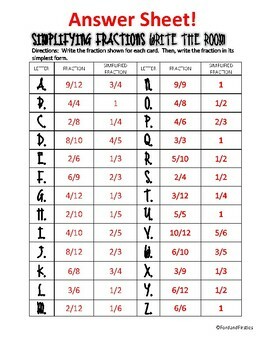 Fractions are all within circles and go up to twelfths! 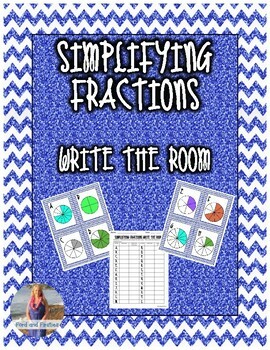 Need some Simplifying Fractions Worksheets?! Click here to download it! FOLLOW ME! You will love the FLASH FREEBIES!